Bottom line: meHealth makes money, and it makes sense. If you want to talk about the tech, get in touch! 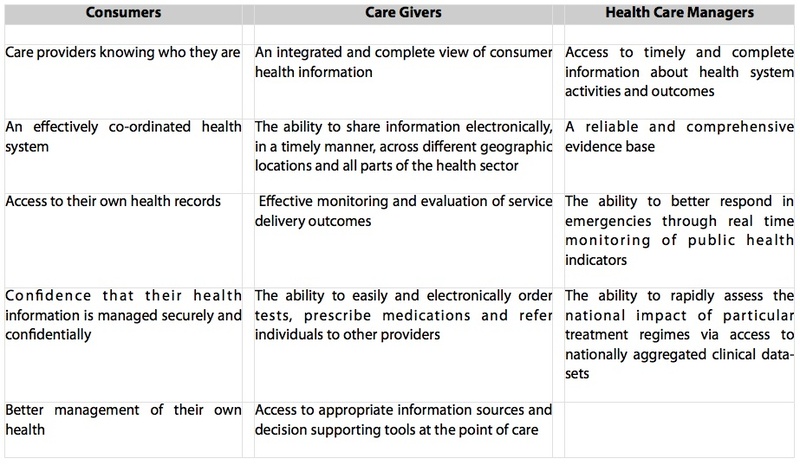 eHealth can and should provide options for how stakeholders (consumers, care givers and healthcare managers) manage and interact with the healthcare system across geographic and health sector environs. That said, if there is anywhere that Capital I Innovation is essential, I believe it is in the field of eHealth. The term eHealth has become nigh on ubiquitous. And yet, it is somewhat nebulous, as it can be perceived as being perceptively less than personal. meHealth, however, is different. It demands that I, you, we, take it upon ourselves to take responsibility. Responsibility to expect and demand that all healthcare stakeholders at the local, regional and national – and, dare I say, international – level to work together to ensure that affordable, effective healthcare is available to one and all. e-Health uses the internet and related communication technologies to improve healthcare delivery, collaboration, diagnostics and treatments, while reducing errors and costs. Thus far most arguments for eHealth take-up have relied upon Web 2.0 solutions such as MedHelp, MyGP, patientslikeme and Hello Health – each excellent initiatives. Unfortunately, these arguments for adoption, though interesting, have not been compelling enough to engender a rush towards mass adoption, at least not by healthcare service providers. But, with the advent of Web 3.0 solutions, this situation should soon change. It must. However, this will only happen if all stakeholders take on the responsibility of demanding the change; this is the time for the change to meHealth. “From my point of view, there is no doubt that having records which are sharable, at least among physicians, would be a huge help. When people go in to be examined, they often have to repeat their medical histories. They don’t get it right every time, they forget stuff. Yet the doctors are not in a great position to service a patient without having good background information. I am very much in favour of getting those kinds of records online. All the above points are important, but the final one may be the most vital of all. Why? Because in Australia, in 2010, approximately $3 billion was wasted in avoidable annual expenditure. Australia has a population of over 22.5 million, the US has a population of nearly 311 million and China has a population of over 1.3 billion – you do the math. Do you need more convincing? How about this. Annually in the US approximately 225,000 people die as a result of erroneous medical treatments and hundreds of thousands are made worse by being misdiagnosed or given inappropriate treatment. Added to that, the costs of medical problems caused over 60% of all personal bankruptcies filed in 2007. These are just a few of the reasons why reducing, if not eliminating, errors and inefficiencies is imperative. I think most of us are agreed that making these changes would be a good thing. So how do we do it? Its a big ask I know. And yet, it must, and can, be done. What is needed is a plan, and here is my To Do List. I welcome any and all who are interested in moving this debate forward to add to this list. In next week’s post, we will look at eHealth and meHealth from the perspective of patient advocate ePatient Dave.